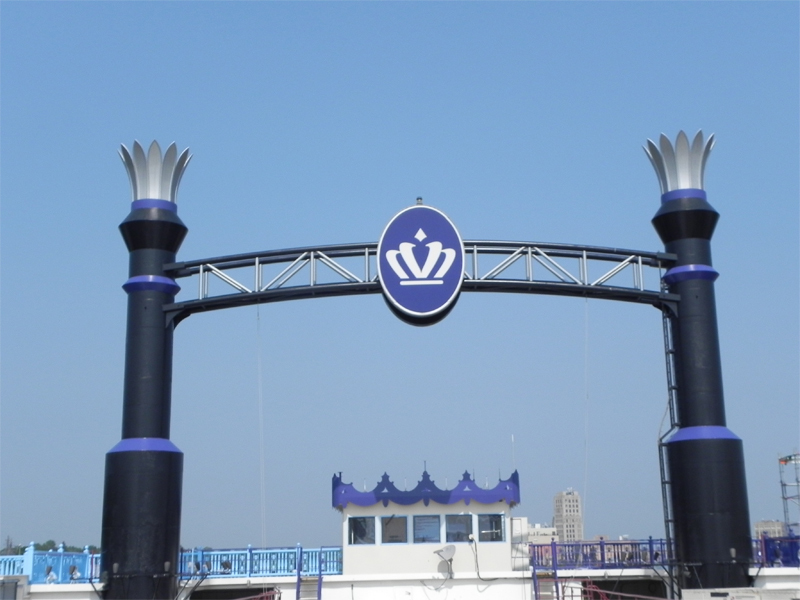 Opening in 1995, the Grand Victoria Riverboat Casino in Elgin, Illinois sits along the Fox River, offering a beautiful view of the waterfront and surrounding area. 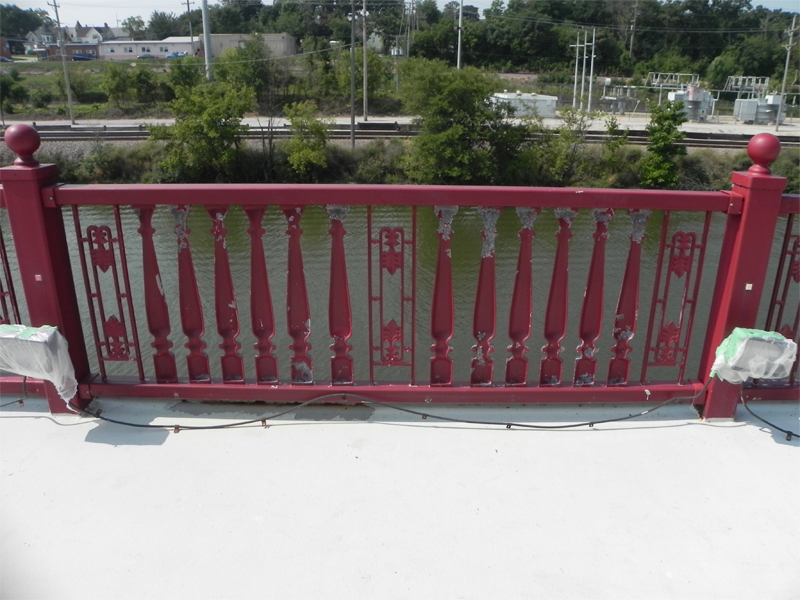 Only after two decades of service, the exterior of the riverboat had deteriorated, with existing paint fading, peeling and some areas of metal surfaces exhibiting corrosion. 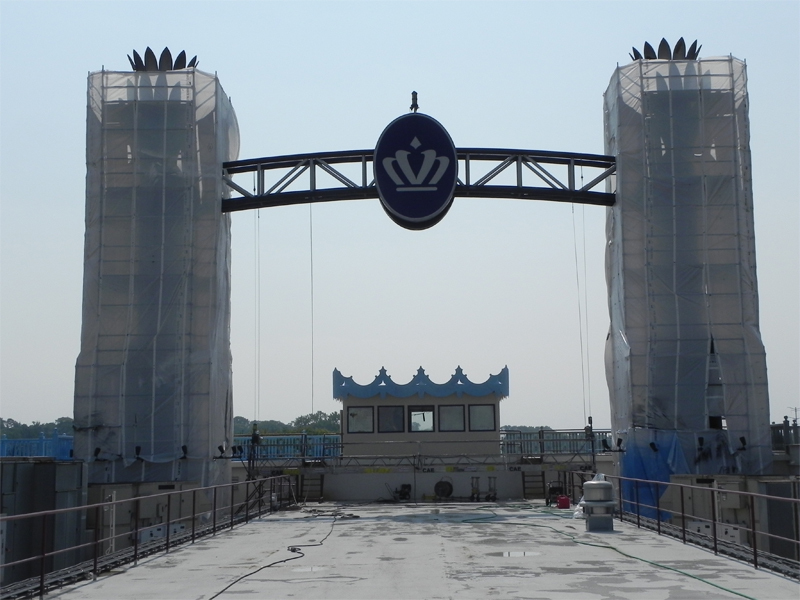 The owners of the Riverboat Casino sought a long-life coating system that would not require yearly maintenance, contacting Tecorp, Inc., for the restoration. 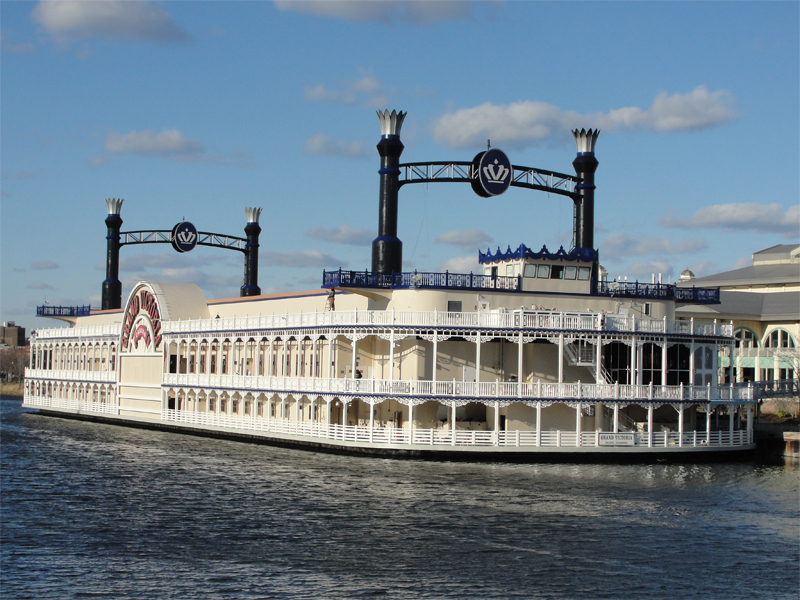 Using Tnemec’s coating products, including Fluoronar, a Lumiflon FEVE fluoropolymer based high performance coating, the Grand Victoria Riverboat Casino enjoys a fresh, bright exterior that is proven to last for decades with little-to-no maintenance required. 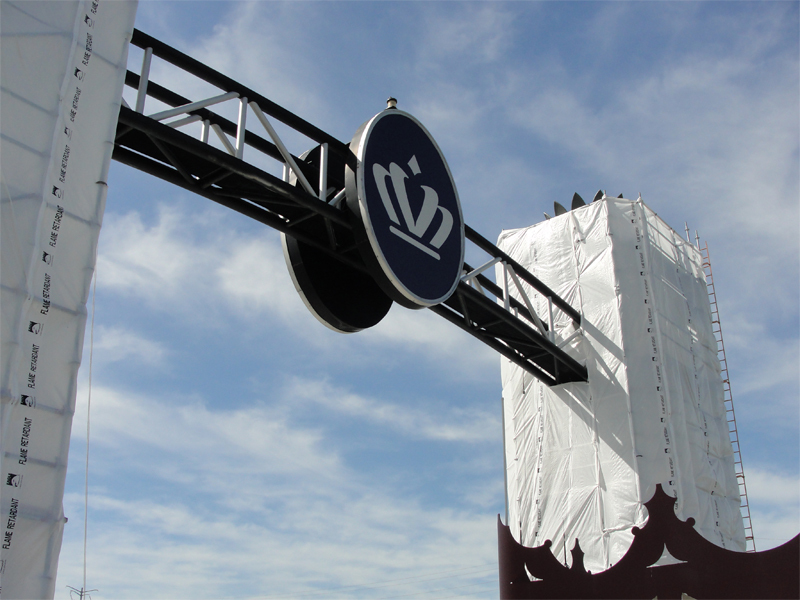 Careful planning and consideration was taken so that the restoration would not interfere with times where the casino was busy. Containment systems were required at the deck level to prevent debris and paint from entering the water. In addition, customers were to have access to all levels during the length of the renovation. The steel deck was prepared in accordance to SSPC-SP 6/NACE No. 3 Commercial Blast Cleaning standards with a containment system that would capture the old paint and blasting material. The other steel surfaces, including handrails, exhaust stacks and pilothouse were pressure washed. 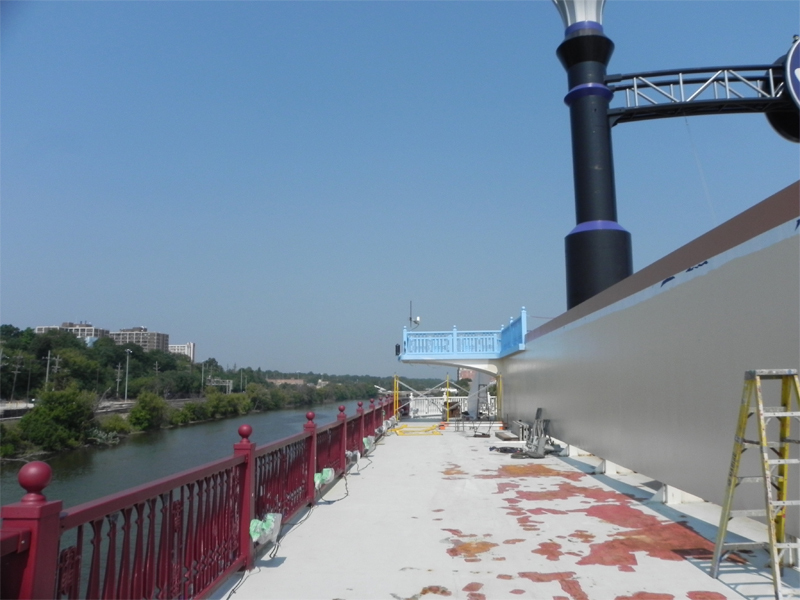 The original paint of the riverboat proved to be too thick to be over coated with traditional solvent based coatings. After several tests, a series of Tnemec coatings systems were selected based on their ability to used with the original surface paint. High visibility areas received a topcoat of Series 1070V Fluoronar, a Lumiflon FEVE fluoropolymer resin based, low volatile organic compound (VOC) coating that provides extremely high color and gloss retention. The FEVE resins also contribute to the weatherability, corrosion resistance and adhesion of the coating, which is highly desirable, given the waterfront environment of the riverboat. Completed in a span of four months, the Grand Victoria Riverboat Casino now sports a new coating system that compliments its grandiose design. Tnemec Company; Kansas City, MO has has been a leading manufacturer of coatings and coating systems for exterior and interior environments for nearly a century. 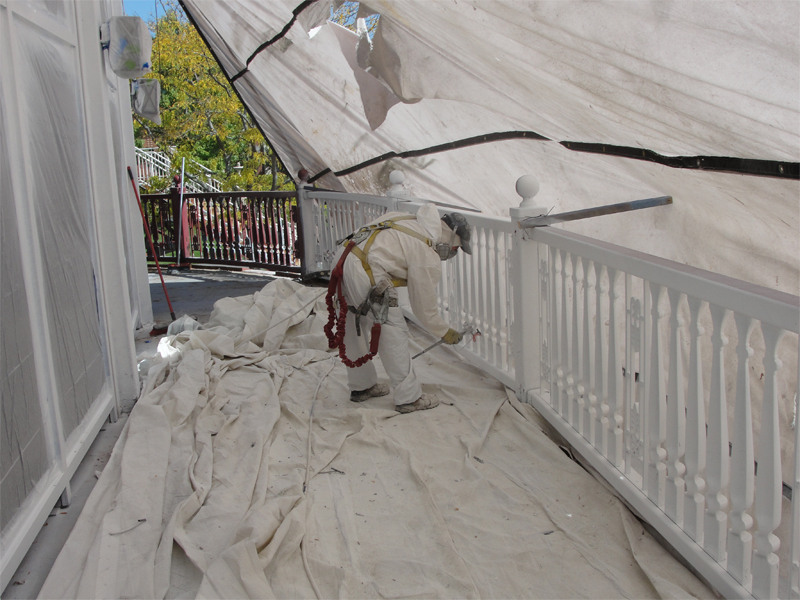 Tnemec’s extensive product line is backed by outstanding technical support provided by highly knowledgeable coating consultants.